Do you know Yiwu auto accessories? This is a quite important trade item in Yiwu. There are thousands of auto accessories on show and selling in the auto parts professional street every day. 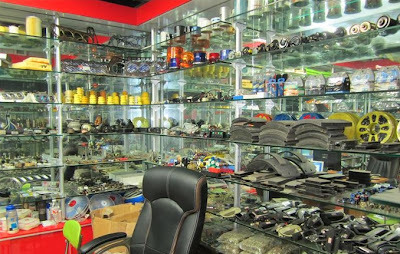 Visiting Yiwu will amaze you if you want to search auto parts or wholesale auto motors. Near Yiwu International Trade City Market District 1, there is Yiwu auto parts market. You can search for what you want in about 500 shops, auto parts, hardware accessories, kinds of decorations, you can find almost everything you expect here. If you have the plan to visit Yiwu for auto accessories business, however, you just could have a short stay. Then, you should miss 2012 the 7th China Yiwu auto accessories & parts fair, which will come in May. Put the plan on your timetable if you have interesting in Yiwu auto accessories or you can let us know you plane, we will help you make your journey perfect.